Chess and investments have a common theme: in order to be successful in either one you need to know how your pieces work together. This requires a specific skill that cannot be overestimated—the ability to think things through clearly. In chess, a player’s strength is based on his ability to know what each piece does and how to strategically use and position it on a board. 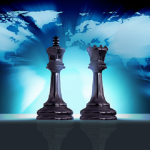 Success in chess depends on clear thinking. In investing, an investor’s strength is based on his ability to evaluate individual investments and select the investments which best work in tandem with one another to achieve his goals. Investment success depends on clear thinking.you need to know how your pieces work together. This requires a specific skill that cannot be overestimated—the ability to think things through clearly. Success in the world of finance depends on many possible achievements, not the least of which is getting a high return on an investment. 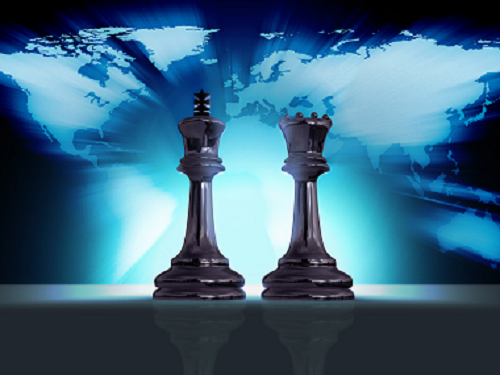 An investor who can think ahead like a chess player and develop an effective thinking strategy will be able to meet the unexpected market moves. Edward de Bono, a Maltese physician, prolific author, and business consultant long ago realized that most people do not actually think through issues. Instead, they randomly leap from one idea to another and then cobble up an ad hoc conclusion. He blames this lack of strategic thinking on the Renaissance. After the Renaissance revived the work of Socrates, Plato, and Aristotle–Western thinking has been stuck in a circuitous logical loop. We live in a much more complex world and it’s not enough to think in terms of Socratic dialogue, Platonic dialectics, and Aristotelian logic. We have to think in a much more analytic way than we have learned in school. Western education has borrowed its thinking models from the Renaissance (14th to 17th century), which in turn borrowed it from Grecian philosophers who flourished in the Athenian golden age (479 to 431 B.C.E.). All this adds up to a rather dismal conclusion: While most people think that they “think,” they are actually borrowing mental software programs that did not work very well in the first place. These programs do not allow a person to think ahead but only think about what happened in the past. In the Renaissance, thinking about the Classic era helped pull Europe out of the Dark Ages, but we now need a whole new set of thinking skills. Today, in de Bono’s view, using Socratic thinking merely confirms preconceived ideas; using Platonic thinking merely echoes authoritarian decisions; and using Aristotelian thinking merely includes or excludes certain ideas. Studying this glitch in the transmission of thinking skills, de Bono found a way to think ahead: a way that is useful in chess, business, or life; a way that will allow you to master your game. Stay tuned for 6 blog posts on how to apply de Bono’s ideas on thinking to your investing style. To make it easy, sign up to have blog posts delivered straight to your inbox.